Many veterans receive medical care at VA hospitals because the cost of their care is covered at these facilities. Unfortunately, visiting a VA hospital may be a dangerous choice for patients, as a number of disturbing incidents have led to record highs in medical malpractice payouts. Our VA malpractice lawyers know that patients have a right to expect a reasonable degree of competence among all physicians and hospital staff. Failures of healthcare providers to exercise reasonable care can cause serious and lasting injury. Incidents at the VA hospital, for example, have led to death in some cases and to expensive medical treatments in others. Delayed diagnosis or failure to diagnose medical conditions. Delays in treatment that were unreasonable and endangered patients. Medical procedures being performed on the wrong body parts. A Johns Hopkins University study referred to this mistake as a “never event” because this type of error is so grievous it is never supposed to occur. Failure to warn patients of dangerous outbreaks or risks to their health. Both patients and relatives were allegedly not warned that a contaminated water system in one VA hospital caused an outbreak of Legionnaires disease. One family member complained that the hospital continued to provide water to a hospitalized relative without mentioning the risk. The institutional failures and medical mistakes made at the VA have lead to more than five deaths as well as to painful invasive treatments for many other veterans. 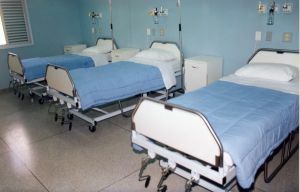 The problems also resulted in the launch of a criminal investigation conducted by the VA Inspector General and focused on the outbreak of Legionnaire’s disease. The lack of accountability goes beyond simply not firing staff who fail to live up to their professional obligations. The Government Accountability Office indicates that individuals at the VA are being paid millions in bonuses despite providing improper care. Records show, for example, that among the recipients of approximately $150 million in bonus money were a radiologist who could not correctly read a mammogram and an ER doctor who refused to examine or treat patients. Changes need to be made to ensure that VA staff are held to the same professional standards and rules of accountability as any other medical professional. Patients and family members of those seeking treatment at the VA also need to be aware of the extensive ongoing problems with quality of care and should ensure they are proactive in understanding their legal rights and getting the treatment they require. If you or a loved one was harmed by medical malpractice, call the Law Offices of Jeffrey S. Glassman for a free and confidential appointment — 1-888-367-2900.